It's summer and we haven't wanted to spend much time in the kitchen. 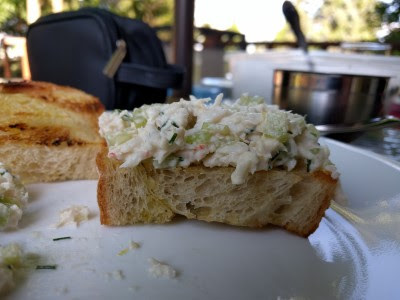 Last week we made a super easy meal for dinner: Crab Salad. Easy to make. 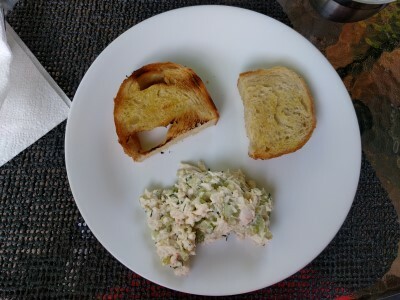 Super easy leftover night (just open the container of crab salad). And yummy. Light & cool on a hot summer evening. Open the can of crab and pick out any bits of shell that might be in with the crab. Transfer crab to a mixing bowl. 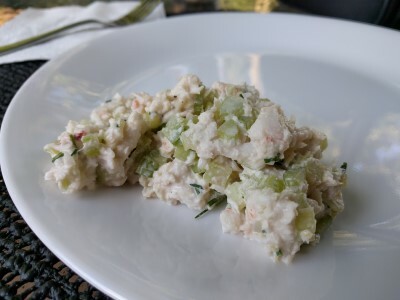 Add the diced celery, chives, Old Bay, parsley, and mayonnaise. Gently mix together. Enjoy with grilled bread, crackers, or greens/salad.